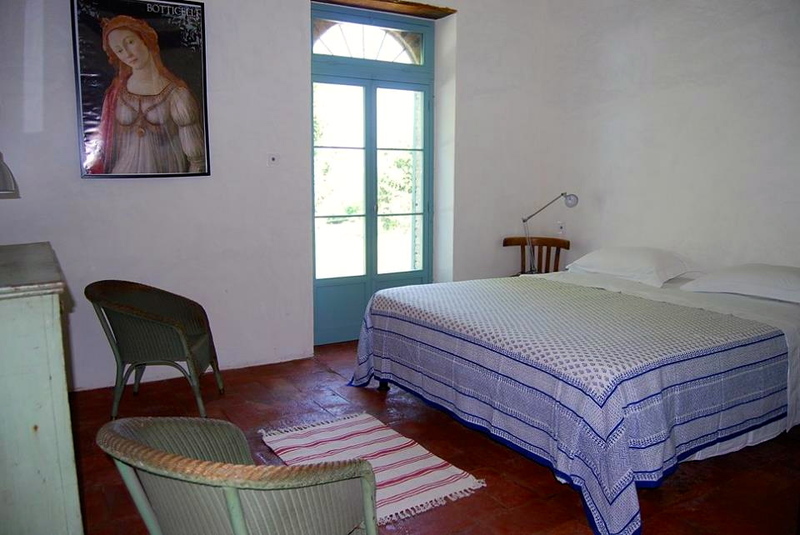 Casa Poggio is a beautifully-restored old stone farmhouse, owned by good English friends of ours. 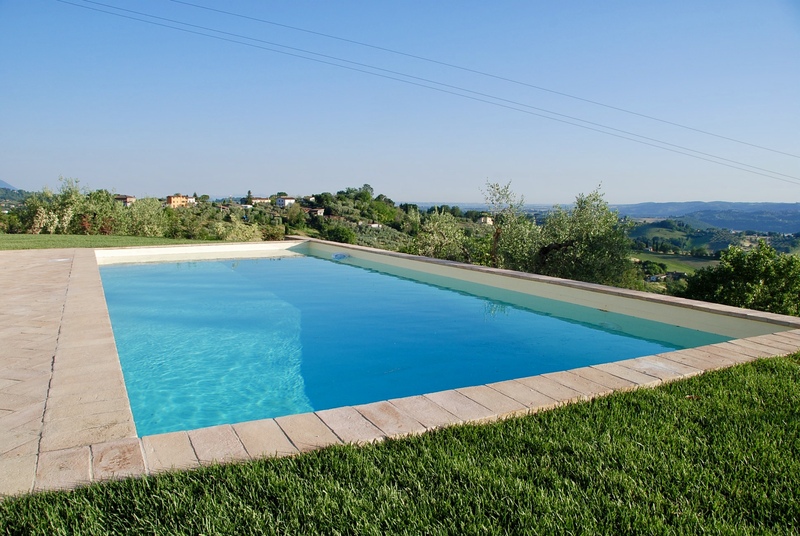 It is located just five minutes from La Casa Nettarina, high on a hill with spectacular views: Monte Soratte, the mountains of Lazio and Umbria, and – when the morning mists clear – Rome in the far distance. 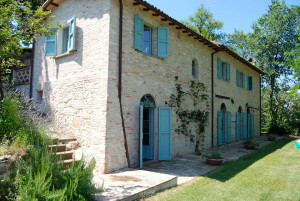 Casa Poggio has a lush garden full of flowers, a gazebo perfect for romantic cocktails at sunset, a terrace with a barbecue and a recently renovated barn, perfect for relaxing and soaking up the views. The place is surrounded by two hectares of organic olive grove – a haven for wildlife, especi ally birds. Inside the house there is a large open-plan kitchen-dining room, fully equipped for serious cooks; a comfortable living room with a fireplace and breathtaking views; there are four bedrooms, two twin and two double, for a total of eight people (plus a cot for babies). There are three bathrooms with modern fittings. The house has a washing machine, dishwasher, electric oven, Wifi connection and underfloor heating. In the garden is a full-sized swimming p ool. In low season (from mid-September to mid-July, Christmas and Easter excluded) the price is 950 Euros a week, or 650 eurof for 3 days, 550 euros for 2 days. In high season (from mid-July to mid-September, Easter and Christams holidays) it costs 1500 euros a week. The price includes towels and sheets. Extra 100 euros for final cleaning. Please contact us for information, details and reservations.